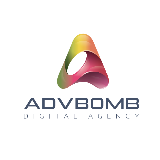 We are a creative agency who design, execute and optimize effective campaigns across a full spectrum of digital and traditional media to the right target market at the right timing for your business. Using the latest technology and channels we can help your brand reach million of eyeballs. Our creative ideas and marketing matrix have helped many clients grow exponentially.